It might be cold, grey and chilly outside, but fret not: PUMA’s new footwear and apparel gems are here to brighten things up for you. Here we tell you about how our new sportstyle trends give your wardrobe a dynamic upgrade! 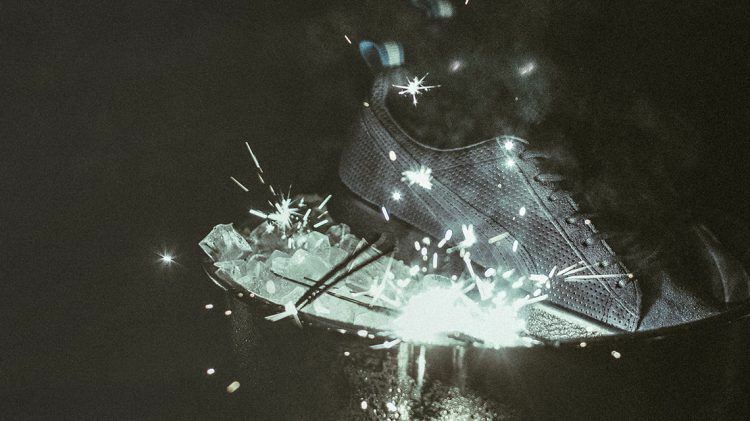 Get ready for a brand-new collaboration with Danish high-end streetwear brand Han Kjøbenhavn, which brings you a range of footwear and apparel to shine out on the street. 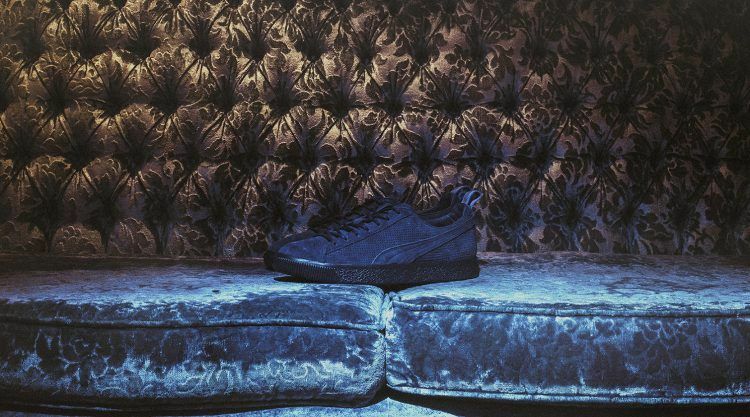 We also teamed up with Montreal-based sneaker lifestyle store Off the Hook to reinvent one of our all-time classics, the PUMA CLYDE. In another teamwork effort, PUMA once again joined forces with English lifestyle brand Trapstar to bring you a new collection that celebrates the ‘beautiful game’ – football! Also, we are proud to present a sneaker pack that celebrates the Mexican ‘Day Of The Dead’ holiday. Also included in this month’s new stuff is the latest generation of our innovative TSUGI sneaker. Minimalism, functionality and elegance are the cornerstones of Scandinavian fashion, and they are epitomized in the styles of Han Kjøbenhavn. 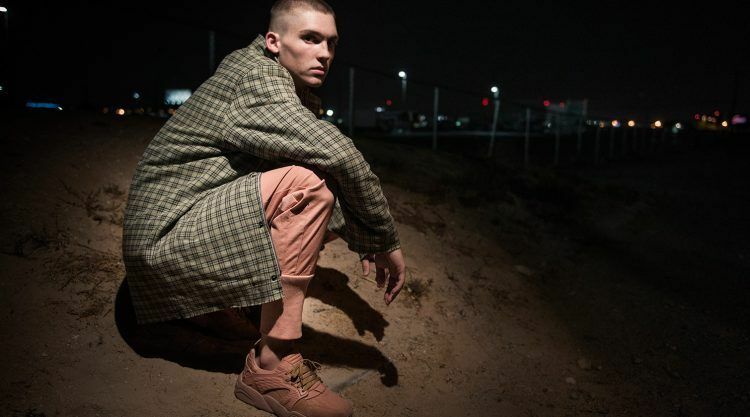 Now, PUMA and the Danish luxury streetwear brand have teamed up to bring you an extraordinary range of footwear and apparel reworking classic PUMA pieces. Han Kjøbenhavn founding partner Jannik Davidsen took the inspiration for this collection from his own upbringing, local sports and suburban architecture. The main goal was to surprise – and this has been achieved in every aspect. On the footwear side, we see new editions of the iconic CLYDE as well as the progressive style TSUGI KORI, both featuring bright muted colors that are both fresh and nostalgic. The CLYDE is all about subtlety with premium leather uppers and the co-branding only visible on the outside. The TSUGI KORI’s upper consists of a mix of plush suedes and leathers combined with an elongated knitted, sock-like ankle collar. The apparel uses unexpected material mixes such as rayon, jersey, and twill. It includes a wool trench coat influenced by football terrace wear, its stand-up collar and clean embroidery making it a genuine eye-catcher. Inspired by harsh Danish winters is the premium, 3-layer bonded fabric zip-up sweater. The range is completed by a versatile backpack and a fisherman beanie with extra-soft ribbed finish. So, you are a sneaker nut and in desperate need of some cool new kicks? In that case, you will be pleased to hear that thanks to PUMA, you are quite literally off the hook. 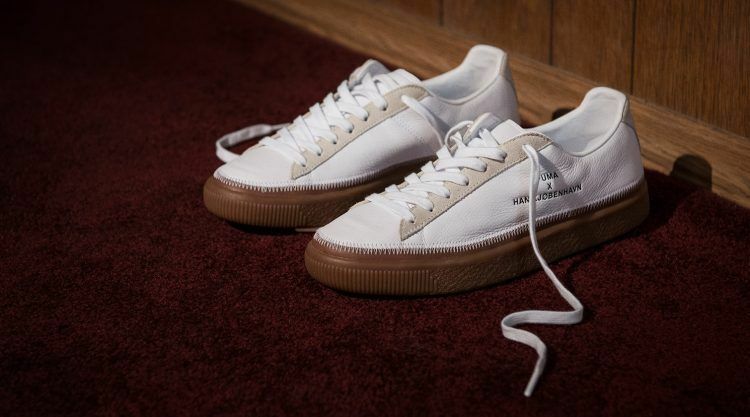 We recently got together with Montréal-based streetwear boutique Off The Hook (OTH) to create a very special version of a sneaker that embodies street style like hardly any other – our classic PUMA CLYDE. The latest edition, called CLYDE DRESS CODE, is a tribute to 1990s Montréal nightlife and underground music scene. 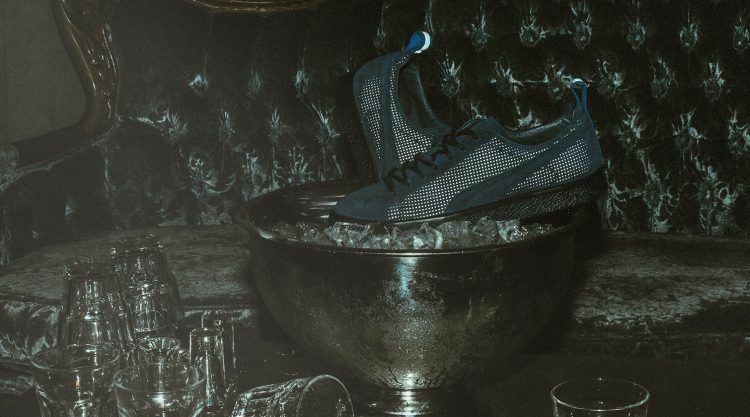 The shoe is wrapped in perforated navy suede and has a water-repellent exterior layer, so you don’t have to worry about spilled drinks on a big night out. Since the DRESS CODE likes to keep it simple, it comes without visible logos on the outside – only the footbed features PUMA and OTH branding. The formstripe is made of tonal suede, while a 3M pull tab on the heel gives the shoe a bit of flash. Speaking of flashes: The model is finished with reflective detailing aiding in night visibility – a nod to strobe lights that were ubiquitous in the 1990s underground music scene. Football is far more than just the ‘beautiful game’. To PUMA and our friends at London-based lifestyle brand Trapstar, it also serves as the inspiration for a brand-new fall collection. There is probably no other collection carrying the spirit of the game better than this one, so you will never want to take off your new favorite pieces at all! 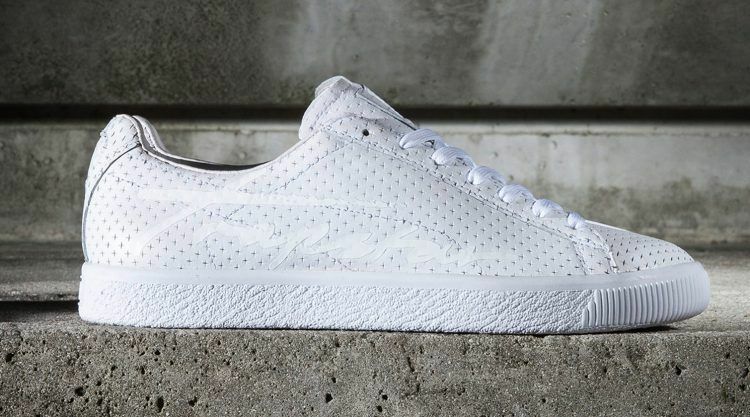 The PUMA X TRAPSTAR styles include apparel and footwear, with Trapstar’s signature designs and bold motifs being the unifying theme. Trapstar’s trademark ‘White Noise’ or black-and-white speckled print is rendered into several pieces, from football kit-inspired jackets and hoodies to sweatpants. 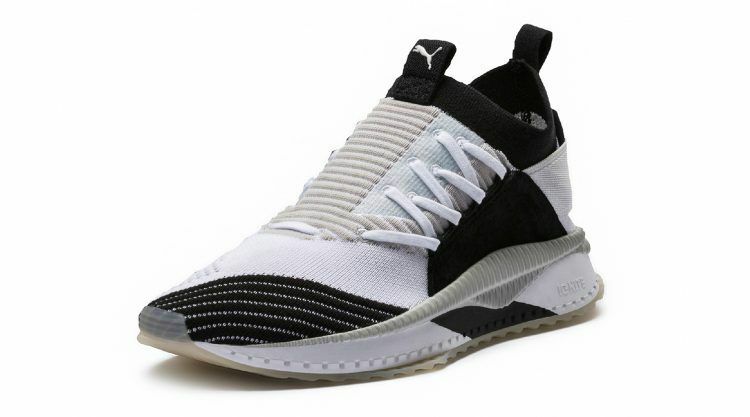 The footwear offering of the PUMA X TRAPSTAR collection consist of the classic court sneaker CLYDE and the progressive performance style TSUGI BLAZE. Both shoes come in black and white colorways with gothic Trapstar lettering on the formstripe or on the heel. Looking for a pair of shoes to keep your feet warm and cozy even on bitterly cold days? No problem: A pair of ankle-high Ren Boots completes the collection. The ‘Day of the Dead’, also known as Día de los Muertos in Spanish, is celebrated in Mexico between October 31st and November 2nd. On this holiday, the locals remember and honor their deceased loved ones by creating elaborate displays and celebrating lively parties. This year, PUMA has joined the fun and colorful tradition with the release of the PUMA ‘DAY OF THE DEAD’ pack. Drawing inspiration from the iconic colorful skull figures known as ‘Calacas’, PUMA adorned some of its classic models with holiday-appropriate decorations. 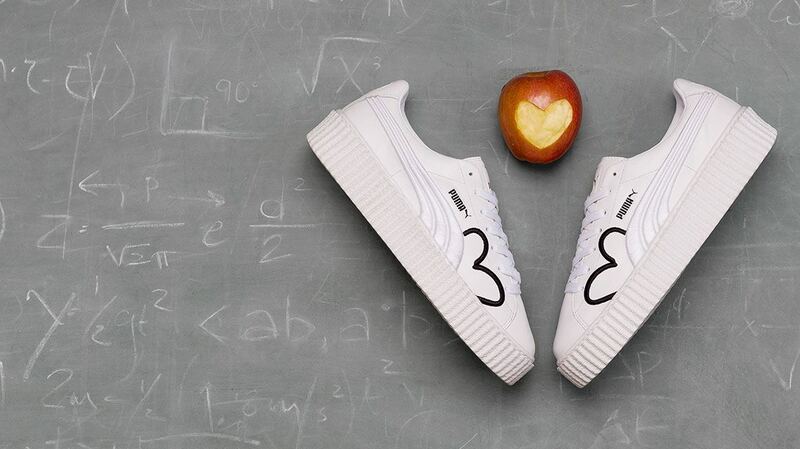 The new pack takes on the PUMA ROMA, the PUMA BASKET CLASSIC, the PUMA SKY II and the PUMA PLATFORM. 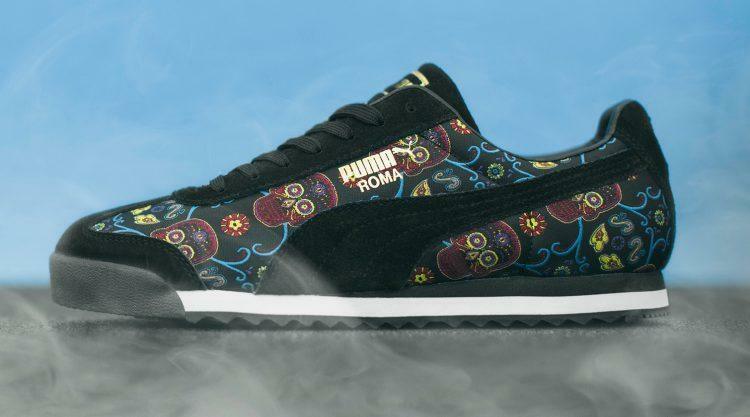 The typical multicolored sugar skulls and floral patterns are set off against intricate black jacquard material uppers and a black suede PUMA formstripe. 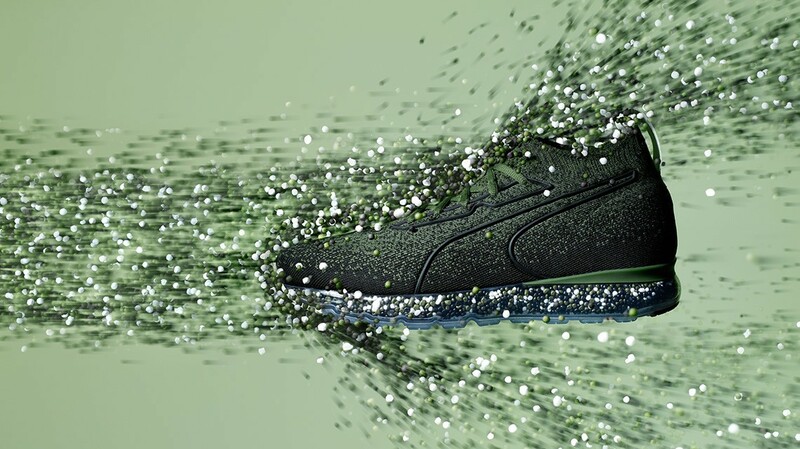 TSUGI – the Japanese word for ‘next’ – represents PUMA’s new Running Sportstyle era. It combines the functionalities of a professional running shoe and the ever-elegant appearance of Japanese design. The sneaker’s latest iteration, called the TSUGI JUN CUBISM, takes inspiration from space odysseys and the geometric designs of the 20th century cubism movement. The newest member of the TSUGI family is available in two color options: Black and White or Black and Flame Scarlet. The brand-new sneaker highlight makes use of a full evoKNIT sock upper, a unique lacing system and engineered ribs for enhanced flexibility. Also included is an IGNITE FOAM cushioned sole to offer ideal flexibility in the forefoot as well as cushioning in the heel. An engineered elastic ensures a secure heel lock down and the addition of premium leather panels on the sides provide midfoot support and enhanced stability. Pull tabs on the heel and tongue and a large PUMA branding on the heel add the finishing touch to the style. Tell us what you want to read about or let us know what you think about CATch up Magazine!